Featuring a knit upper and streaks of leather. adidas has revealed plans for a new soccer-inspired silhouette known as the Sobakov. The style’s introductory release is marked by a straightforward black knit upper and a chunky gum outsole, making for an accessible but striking sneaker. Notably, streaks of leather dot the shoe’s heel and tongue areas, while white leather brings the signature Three Stripes branding to life. 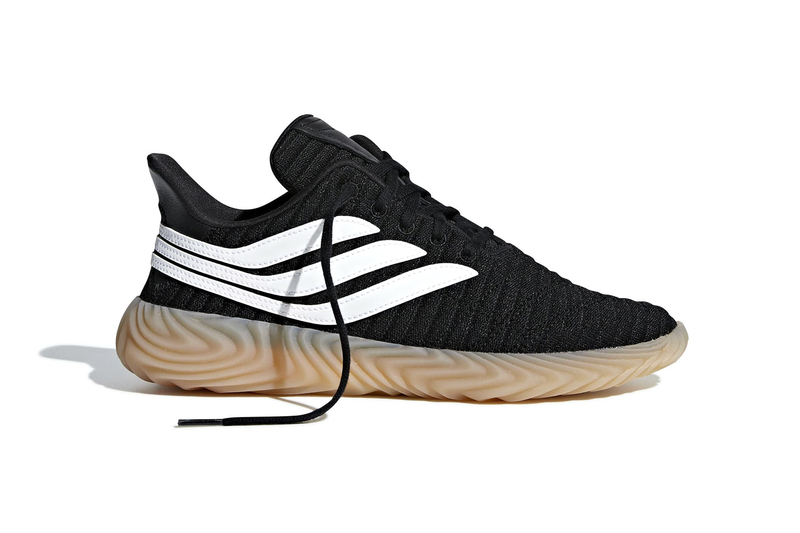 As other outlets have noted, the Sobakov’s design is noticeably similar to the recently-released Kamanda. Expect the shoe to hit authorized adidas retailers in July, while official pricing has yet to be announced. Earlier this week, adidas introduced a “Core Black” version of the Crazy 1 ADV and a “Glow” iteration of the EQT Support Mid ADV. The adidas Originals Sobakov Arrives in "Crystal White"
Fish scale and camouflage motifs. The mellowest single yet from the upcoming album.